In case you missed it, the 2018 winners of the Pulitzer Prize were announced this week. The awards are certainly prestigious and the works that are honored are very accomplished, but they are not the end all of awards. The kinds of books that they select as finalists and give awards to tend to be very highbrow. In fact, one of the big shocks of this year's Pulitzer announcement was that they awarded Kendrick Lamar a Pulitzer in Music. He is the first artist since the award's inception in 1943 who was not a jazz or classical musician. The New York Times wrote an article about the meaning of Kendrick Lamar's Pulitzer and what it may mean for awards of its ilk going forward. There may be a paradigm shift happening in what these award committees feel is worthy of an award. In general, most Pulitzer winners are not the smash commercial successes. Sure, Kendrick Lamar won this year and Lin Manuel Miranda won in 2016 for Hamilton, but these are the exceptions, not the rule. The books awarded the Pulitzer for Fiction are generally literary fiction, though last year's winner The Underground Railroad by Colson Whitehead has some speculative fiction leanings. There is a certain kind of book that wins awards like the Pulitzer. So, it is perfectly understandable if Pulitzer-winning fiction is not for you. This book is about the rediscovery of Lucretius's De rerum natura, or On the Nature of Things, in the 15th century by an Italian papal official and rare book hunter. Greenblatt, a professor at Harvard University, traces the rediscovery of this work and how it has influenced the Western world. This book is an interesting read, especially if you have an interest in Renaissance history or philosophy. Written by the current president of Harvard University, This Republic of Suffering is an interesting and difficult work. The book examines the impact of the massive death tolls of the Civil War and how it impacted not only individual families, but the nation as a whole. For anyone interested in Civil War history or the subject of death and dying, this book is excellent. It discusses the 19th century ideas about death and how war forced modernization and change when it came to death, mourning, and burial. A morbid subject, but a fascinating one. 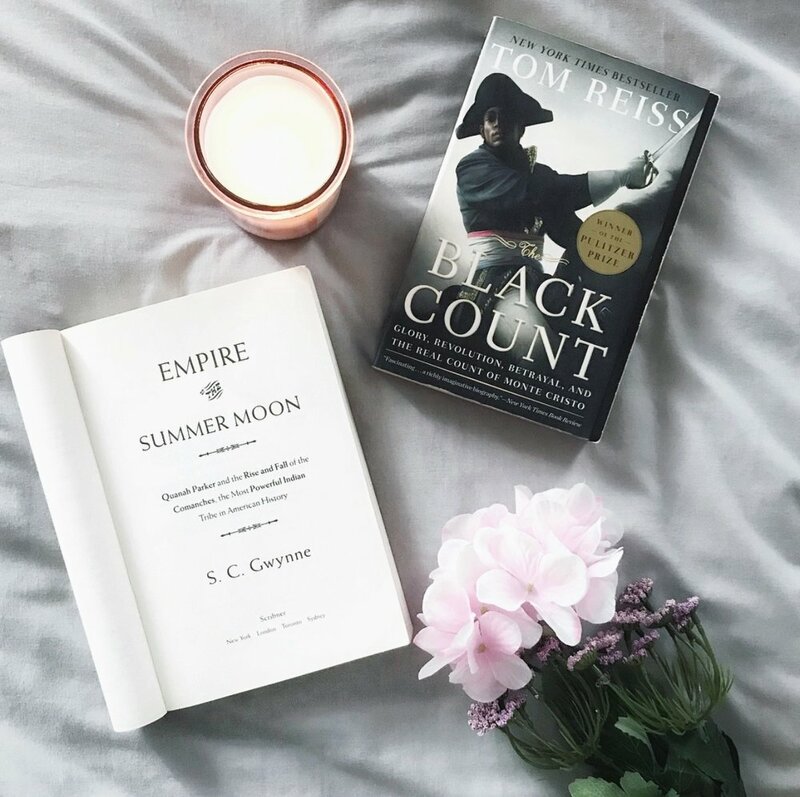 The Black Count: Glory, Revolution, Betrayal, and the Real Count of Monte Cristo - Tom Reiss (Winner of the 2013 Pulitzer Prize in Biography). Probably my favorite book of the bunch, this book is a biography of General Thomas-Alexandre Dumas, father of the renowned French novelist, Alexandre Dumas. The book follows the elder Dumas, the mixed-race son of a French nobleman and a Haitian slave who rose to prominence in the military and served as the inspiration for many of his son's novels. This biography is riveting and looks at a larger than life figure at a pivotal moment in France's history. I think anyone interested in military would like this book, but most importantly anyone who is a fan of Alexandre Dumas's works would love this biography. The Pulitzers can help to highlight works that might not otherwise get the attention they deserve, but it is important to remain critical of the kinds of works that they choose to highlight. Personally, I do look into the finalists and winners for each year, especially in the categories of General Nonfiction, History, and Biography. So, if you haven't checked out any Pulitzer Prize winners, give them a look and see if anything strikes your fancy.